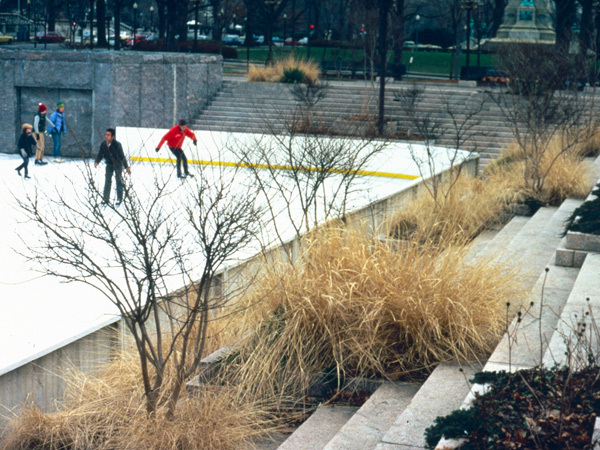 An integral part of the long-range plan to transform Pennsylvania Avenue into the nation’s preeminent street, M. Paul Friedberg + Partners was engaged by the Pennsylvania Avenue Development Corporation to transform a former traffic island into a multi-level park. 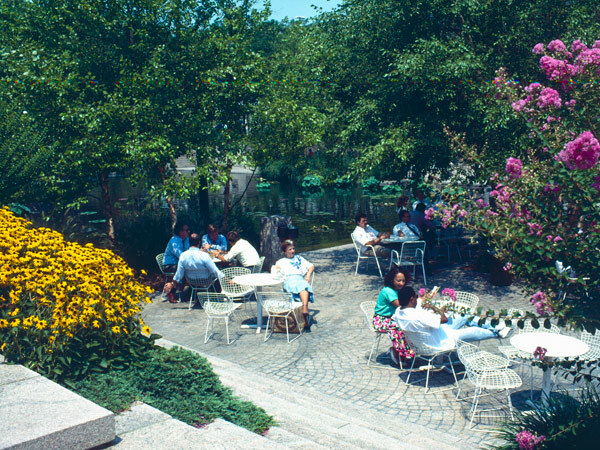 Conceived at the same time as the adjacent Freedom Plaza by Robert Venturi and George Patton (immediately to its east), the park plaza opened in 1981. 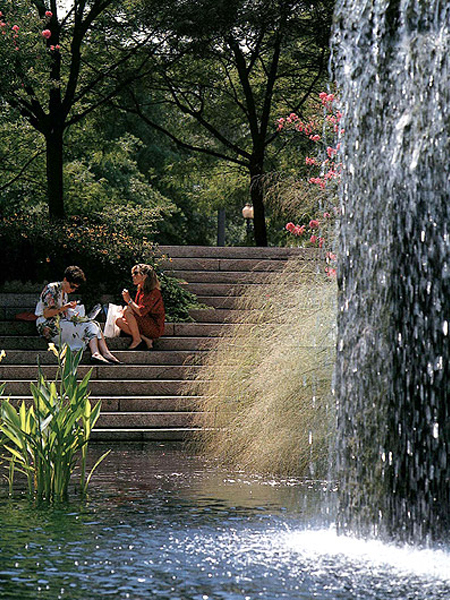 The plaza, named in honor of General John J. Pershing, includes many of the signature design elements found in Friedberg’s earlier work at Minneapolis’ Peavey Plaza. 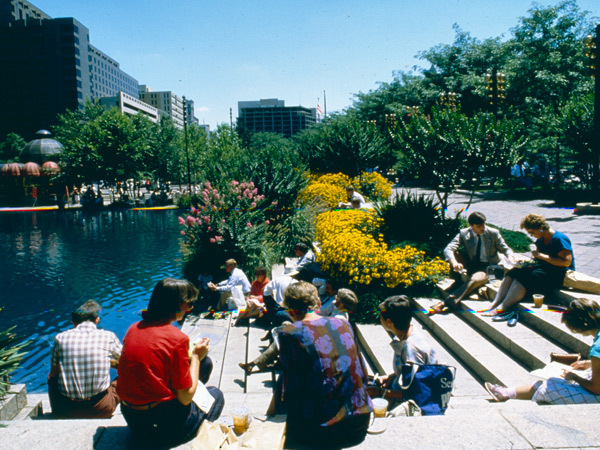 These include a central sunken plaza which also serves as a pool basin (filled with water during the summer or frozen in winter for skating), a waterfall constructed of rock-cut granite which helps animate the space, amphitheatre-style seating oriented around the plaza with lawn terraces, and a site-specific palette of furnishings, including moveable chairs like the ones in Paley Park in New York City. 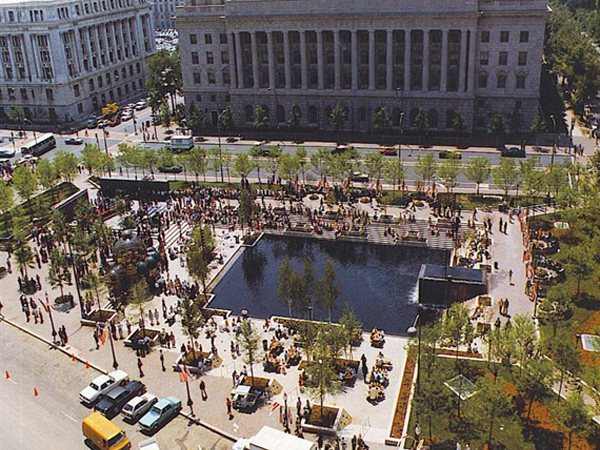 In addition, the design includes a monument to Pershing and a small structure that houses a café, restrooms and changing area for skating. 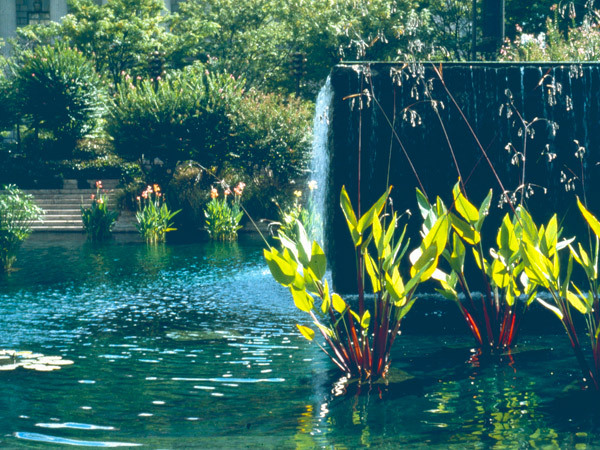 In recent years the plantings were revised by Oehme van Sweden & Associates. 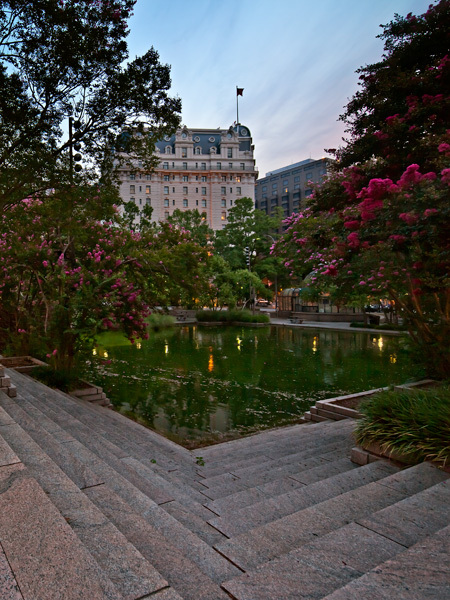 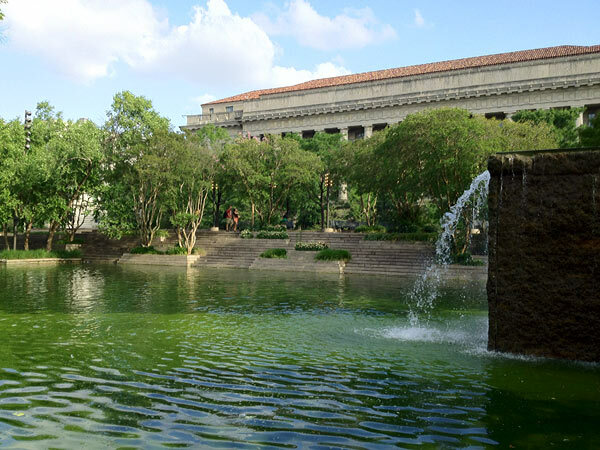 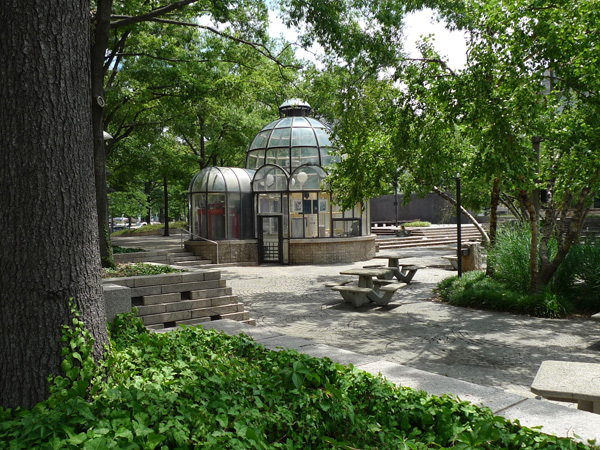 In July 2016, Pershing Park, which is part of the Pennsylvania Avenue National Historic Site, was determined eligible for listing in the National Register of Historic Places.